Shirubi.com - Explore, Find and Share Asian Fashion | Memorable Days : Beauty Blog - Korean Beauty, European, American Product Reviews. Have you always searched for a place where you could find and share Asian Fashion? Asian Fashion is getting more and more popular nowadays. People get influenced by looking at the clothing of Asian celebrities and models that you can find in Asian magazines, like VIVI or Scawaii. We all know that it's quite hard to find websites which sells Asian Fashion online. Therefore, I'm glad that there is this social sharing website which is called Shirubi.com. Continue with reading if you are an Asian Fashion lover! 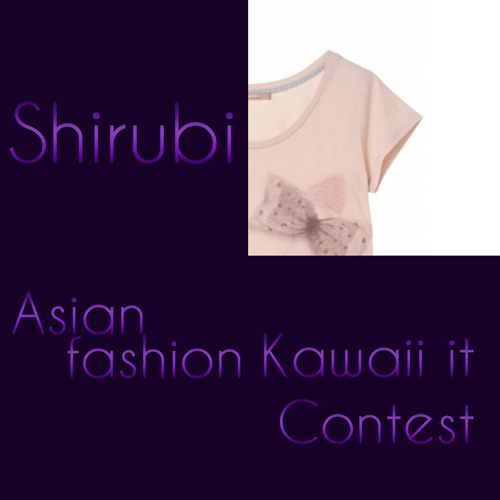 Shirubi.com is a website where you are able to explore, find and share Asian Fashion all at one place. You can see it as Pinterest but just for Asian Fashion lovers! Just press on "ikawaii" on the pictures that you love and press on "kawaii" to share the items with others. The website is easy to use, they have added product categories which makes it easier for you to search for the items that you are interested in. You are also able to add a "Kawaii it" button to your bookmarks. Once installed in your browser, the "Kawaii it" button lets you grab an image from any website and add it to one of your lists on Shirubi. Step 1: Login on their website and follow the steps given (link to their login page). Step 2: Add the "kawaii it" button onto your bookmarks. (how to add Kawaii it button). Step 3: Start exploring the world wide web of Asian fashion. The person who “kawaii’s” the item the first will win that item! The first hint is this fragment of the item: link to the fragment. We all know that its impossible to find the item if you just randomly going to search for it. The internet is far too big to discover it, so here is another huge hint: the item should be from one of these shops! To enter this giveaway go to www.shirubi.com/blog. Make sure to keep an eye on their website, including their facebook & twitter page since they are going to give more hints there. Good luck with exploring girls! The winner will be announced on their website on the 14th of April 2013.
note: this blogpost is an advertorial.